Lovely home presents like a new model, but is half the price of a new home. 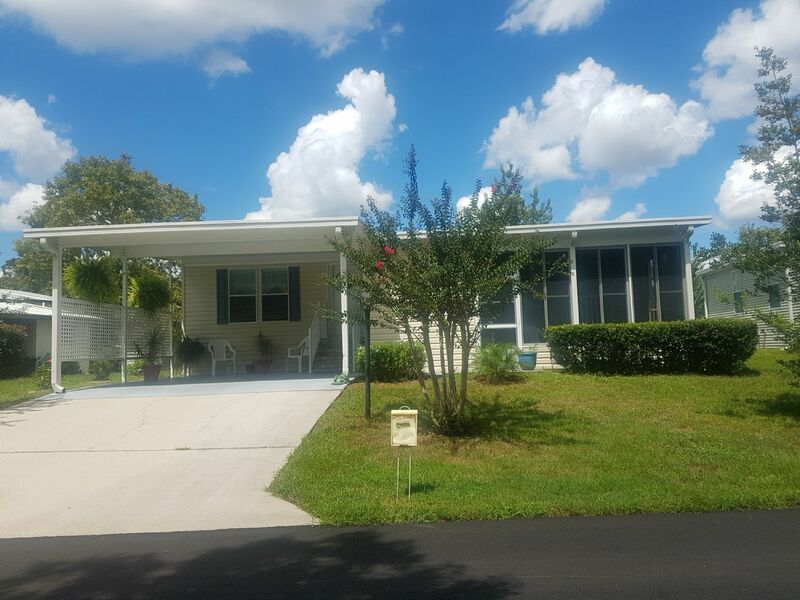 Pretty landscaping, and a double driveway and a front Florida room, with new windows and screens, are the first to draw your attention. Immaculate home freshly painted, with new laminate wood flooring in the living area, has a two-year old AC/Heat pump, open floor plan, large bedrooms and closets, loads of kitchen cabinets and counter space and inside laundry with new Maytag washer and dryer. The park is a smaller quiet community with low lot rent including lawn care and trash pic-up, a Clubhouse for activities and a sunny inviting pool which happens to be right around the corner. Please call to make an appointment or find out when our next Open House will be.